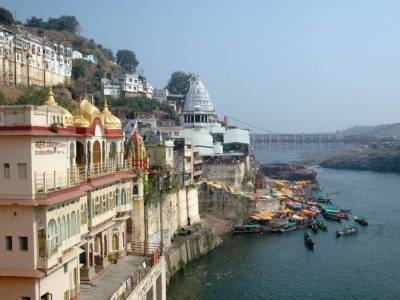 Omkareshwar and Amareshwar or Mamleshwar are the win places where the Jyotirlinga of one of the ancient origins is located. Some consider both of these to be Jyotirlingas while some consider Omkareshwar as Jyotirlinga while Mamleshwar a sacred Saivate pilgrimage. 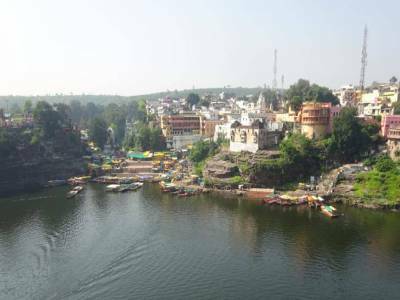 Omkareshwar is situated in the river island of Mandhata or Shivapuri on River Narmada. The Jyotirlinga is so called as Lord Shiva is believed to be the progenitor of the most primal sound of the universe, Om. 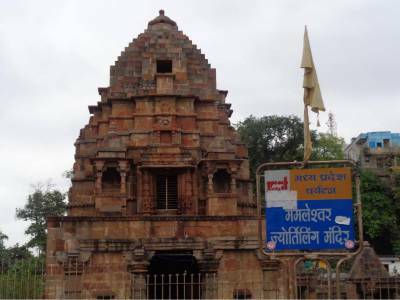 The shrine is located in the Khandwa district of the Madhya Pradesh state. Mamleshwar is also believed to be sacred and is located on the river side of Narmada. Legend has many tales for emergence of this particular Jyotirlinga. Some tell that the Vindya deity prayed to Lord Shiva for freeing from the sins of his life while others state that Lord Shiva emerged as Omkareshwar to defeat the Danavas by the plea of Devas. The most proclaimed tale is of course the tale of King Mandhata, a king of Ikshvaku clan, pleased by whose penance Lord Shiva appeared as a Jyotirlinga. By his name, the island is named Mandhata. The temple is very architecturally boastful with grand carvings and engraved murals. The sanctorum cradles the Jyotirlinga while the other temples house Lady Parvati and a five faced Lord Ganesha. The Mamleshwar shrine is also very beautiful but what really takes the breath away is the landscape of the town, a palace mounted aesthetic river island linked with a well oriented nature borne resident town. 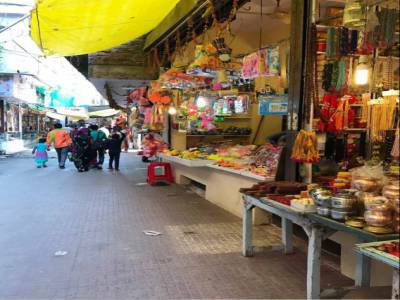 Travelling to Omkareshwar is fine by railway as Omkareshwar Road is just 12 KM from the town. The nearest airport city is Indore though 78 KM away. Another neighbouring city is Mortakka only 20 KM that has the second largest dam project of sacred river Narmada. 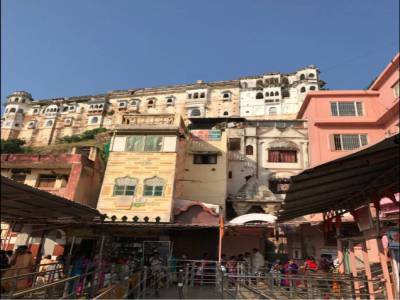 Get quick answers from travelers who visit to Omkareshwar Jyotirlinga.